Here are a list of some of our more frequently asked questions. If you do not find the answers you are looking for or need clarification, please call 978-468-5577 or email slauderdale@hwlibrary.org. How do I get a Hamilton-Wenham Public Library card? What is my Borrower ID number? When did the new library open? Is there a public fax machine that I can use? Is there a public copier that I can use? How do I go about getting my art work displayed at the library? Can I book a library meeting room for an event? You need to be a resident of Hamilton or Wenham to get a Hamilton-Wenham Public Library card. You will also need to bring one form of I.D. with your name and current address on it. If you have a valid MVLC (Merrimack Valley Library Consortium) library card it can be used at our library. Cards from towns with other networks (such as the NOBLE network, of which Beverly Public Library is a member) can be registered in our database. Click here to find out more about getting library card, or call the library at 978-468-5577. Your Borrower ID number is the number on your library card that is directly under the barcode. If you are using the ID number to log into your account or to an electronic resource requiring the ID number, type the whole number in without any spaces or hyphens. The PIN for your library account is usually either the last 4 digits of your phone number or, for newer cards, the last four digits of your library card number. You have the option to change your PIN to a different PIN or to a password that is easy for you to remember. Yes, you may renew books by phone if you have not exceeded your renewal limits for the item and no one has it on hold. Please have your library card number ready when you call. Yes, just follow the instructions below. You may not be able to renew the item if it has reached its renewal limit or if it is on hold for someone else. a.) In the menu bar, under the Look for Books, CDs, etc. tab, click Library Catalog. d.) Enter your PIN Number into the second box. g.) All of the items that you have checked out will be listed, along with author, due date, number of renewals remaining, and check box for selecting the item. (The option “Select (All/None)” allows you to put check marks for all items, or to remove the check marks again.) Check the box for each item that you wish to renew. i.) Look to see what the new due date is. Please remember that all items except for videos and DVD’s are checked out for 3 weeks. Videos and DVD’s are checked out for 1 week. Please make note of the date that the items will need to be returned. Call 978-468-5577 if you have any questions. j.) Once you have finished using your account, go to the upper left corner of the screen and click on “Log out. Videos, DVDs, and magazines are checked out for 1 week. All other materials, including books, books on tape, CDs and cassettes are checked out for 3 weeks. We do not charge fines on any of our materials other than museum passes. Late museum passes carry a $10.00 fine. There is a $25.00 fee for lost passes. If the item is out for so long that we believe it is lost, we may charge a replacement fee. When the library is open please bring all materials to the Circulation Desk. When the library is closed you may place materials in the book drop which is to the right of the entrance. Please put books in the box that is labeled Books and put other materials such as videos and CD’s in the box that is labeled Other. Yes, we have a public fax machine. The charge to send a fax is $1.00 for the first page and .50 cents for each page after the first. The charge to receive a fax is .50 cents per page. The library fax number is 978-468-5535. Visit Fax, Copiers, Computers, etc. for more information about office equipment at the library. Yes, we have two public copiers. There is one on the first floor to the left of the circulation desk and there is one on the second floor in the Reference Room. Black and white copies are 15 cents per sheet, 8 1/2 x 11 or 8 1/2 x 14. The first floor copier also has the ability to do color copies at 25 cents per sheet. Please contact Rebecca Shea at 978-468-5577. Guidelines for artists hanging their work. Yes, we accept book donations for our library book sales. Books may be dropped off in the library, at the front desk, during normal library hours. If you are bringing many books it is helpful to call ahead so we can be sure of having space to receive them. Please do not donate magazines, old text books, or books that are moldy or falling apart. See the Library Donation Guidelines for more details. Visit Magazines and Newspapers for more information. Hamilton-Wenham is part of the Merrimack Valley Library Consortium (MVLC). 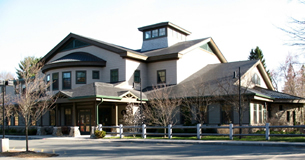 Hamilton-Wenham patrons can use their cards at other MVLC libraries, or can request that items from other MVLC libraries be sent to Hamilton-Wenham for pickup. Patrons can search for and place their requests for these items through the regular Library Catalog. The Commonwealth Catalog (ComCat) allows patrons to search for and request items owned by libraries across the state of Massachusetts. Requested items can be sent to Hamilton-Wenham for pickup. Patrons can also search OCLC’s WorldCat, accessible through our Electronic Resources page, for any items not available via the Library Catalog, or through ComCat. Please ask a librarian if you wish to request items from WorldCat, or request an Interlibrary Loan online. Get the details from our Meeting Rooms page.